Whenever you sign up for a rakeback deal, there are a few factors that you need to assess in order to determine the true value of the deal. While there are countless articles out there about how to assess sign-up bonuses, the same cannot be said about rakeback deals. Not all rakeback deals are the same. The same deal will yield very nice revenue for one type of player, and not be nearly as profitable for another guy. A rakeback deal’s value should always be sought in the way the poker room in question calculates rakeback. Sure, whether or not the sign-up bonus is subtracted from rakeback also matters, but in the long run, the method used to calculate rakeback is much more important. Here are the different types of methods used by poker rooms to determine a player’s Monthly Gross Revenue or MGR (rakeback is directly dependent on MGR, so rakeback will be calculated in the same way as MGR – depending on which deal you chose). The dealt rake method takes the total value of the rake taken off a given pot and distributes it equally among all those players who have been dealt into the hand. This way, you’ll be amassing MGR and you’ll be earning rakeback even on hands that you do not generate rake on. This method offers a quaint advantage to tight-passive players who do not like putting money into the pot, while it seriously undermines the efforts of a loose-aggressive, action junkie who ends up generating rakeback revenue for his/her opponents. The contributed rake method is a little more accurate in determining exactly who contributes money to the pot. The rake is still divided equally, this time however only those who have actively played the hand (put money into the pot) will be eligible for MGR allotment. This rake calculation method eliminates the advantages the dealt method provided for “rocks”. Loose aggressive players will still end up generating MGR for others though. The weighted contributed rake method is the only one which is truly “fair”. It only allots rake contribution to those who put money into the pot, and it considers how much money each of these guys actually drop. If they put more money into the pot they’ll get more MGR, if they do not put money into the pot, they get zilch. This way, loose aggressive players will only generate MGR for themselves, the same way everyone will be fully responsible for their own MGR. Of course, the rakeback percentage offered is also important in the assessment of a deal, but make sure you check the rake calculation method and hold it more important because you may get a nice percentage on a deal which you just cannot get rolling. Ultra-high rakeback percentages usually come with poker prop deals, but these carry far more obligations for a player than any regular rakeback deal. The World Series of Poker, the first major poker tournament, is the highest profile poker tournament in the world. 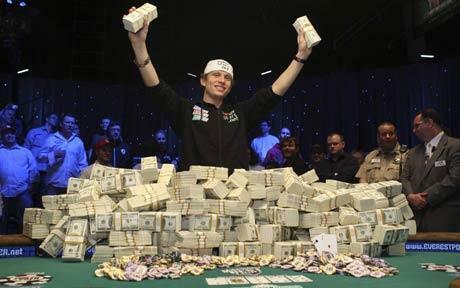 With a buy-in fee of $10,000, the World Series of Poker attracts the finest players in the game. The World Series of Poker was started by Benny Binion in 1970 as a small, invitation-only tournament. The first world champion was Johnny Moss, who was awarded a silver cup for his achievement. The subsequent year, a cash prize was instated, and again Johnny Moss was the victor. Throughout the 1970s, the World Series of Poker continued to grow in size, with many additions and changes to the games being played. In 2004, World Poker champion Greg Raymer took home $5 million as his prize. The number of participants has continued to double year after year; it is expected that many players will compete in 2014. 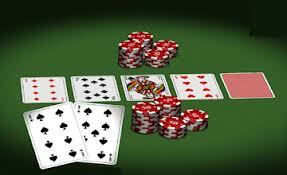 The main event in the World Series of Poker tournament is a $10,000 buy-in game of Texas Hold `Em, at no limit. The total prize money for the 2014 tournament is expected to be more than $10 million. In addition to the monetary prize, winners are awarded a gold bracelet, and their picture is placed on the Gallery of Champions in the Horseshoe Casino. For years, the championship was played at Binion’s Horseshoe, but in 2004, Binion was bought out by Harrah’s Entertainment. The 2005 championships will be divided between Harrah’s Rio Casino, just off the Vegas Strip, and with the final two days at the Horseshoe. If you’re big into sports betting you might feel like that’s the only thing that’s really worth doing in the overall gambling world. There are really so many different people that are interested in so many different aspects of gambling, but if you’re happy with soccer betting and love to find football betting tips, than we guess that’s not really a big deal. Still, there does come a point where you really might want to look outside of just football betting. What about poker? What about slots? Blackjack more your speed? 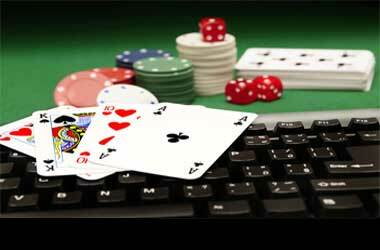 There are a lot of different casino games that you could be playing and still win good money. If you’re only into sports betting because of the community or the chance to win big, then we have some news that you really might want to hear. A good online poker guide can really help you explore your options because it’s going to give you insight into the casino world at large. For example, if you are going to hunt for bonus codes you really need to know what the best ones are. This will save you hours and hours of research online. It’s very easy to think that you’re going to go online and search for something fast, only to find that you’re actually spending a lot of time that could be spent doing something much more interesting. Even though we really do like being able to talk to everyone about all things casino related, we find that there’s going to be a point where you want to stop talking and start playing. Right? Right! Of course, we’re still not saying that sports betting is bad — you can always keep doing that while you explore the casino world. The online poker guide should give you the best places to play your game of choice, as well as the top promotions happening in the casino world. Don’t feel like you have to go with the first casino that jumps out at you. Taking the time to read through what other players think about a casino can often save you a lot of grief. Even though we’ve had really positive experiences in the casino world, many people haven’t. It can really make you feel like the whole casino industry online is rigged and unfair but that’s not the case at all. Don’t let a few bad apples spoil the entire bunch when there really is so much to gain from playing gambling games online. Check it out today for yourself! In some ways, Caribbean stud poker is an easier game to strategize than other common variants like five-card stud and five-card draw. b) that there is no opportunity to “drop” cards (unlike five-card draw poker) make the game fundamentally simpler. Bluffing is also out of the question, as players complete not against each other but instead against the dealer, whose actions are entirely dependent on the cards he or she is dealt. Essentially players are betting solely on whether they think that their cards are higher than the dealer’s. The house advantage in Caribbean stud poker is actually the same as in American-style roulette: 5.26%. The difference between the two is that while roulette is a game of pure luck, Caribbean stud poker can involve an element of strategy. The dealer folds; the player wins the ante bet. 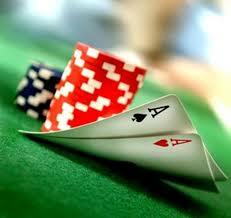 The dealer plays and the player has the higher hand; the player wins both the ante bet and the raise bet. 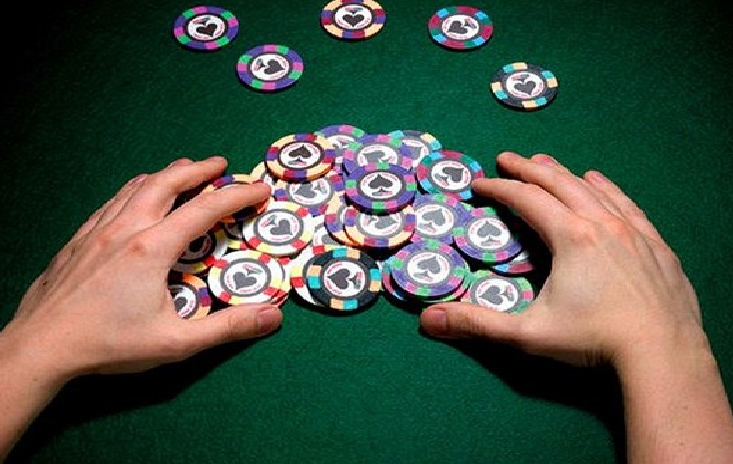 The dealer plays and has the higher hand; the player loses both the ante bet and the raise bet. Keep in mind that the dealer will always fold if he or she does not hold a King, an Ace, or any higher poker combination (one pair, etc.). As with many casino games, the dealer’s strategy is usually the best. A player with no high card should always fold. In fact, even if a player does have a King or an Ace and decides to play, he or she will be unlikely to win the raise bet, because the dealer will only play with a high card as well. In such cases, the player should also fold. Players should only play if they are holding both a King and an Ace, or any higher poker combination. If a player is holding any poker combination – i.e. one pair or higher – he or she should always play the hand. In a five-card game without dropping, the chances of being dealt any poker combination are slim at best. Even with a pair of deuces, there is less than a 50% chance that the dealer will also have a pair. One of the player’s other three cards is a Q, J, or 10, and the player is holding a card of the same value as the dealer’s face up card. In the second condition, the reason that the player must be holding a card of the same value as the dealer’s face up card is that this lowers the chances of the dealer having a pair. One thing I’ve heard almost as much as “xxxx-in river” in poker is this wild statement that playing poker isn’t gambling. Feel free to tell yourself what you must, but anyone who says that playing Poker isn’t gambling doesn’t have a firm command of the English language. Many think that education and training somehow makes the game risk-free. If you believe that, I’ve got a piece of land to sell you. Yes, playing Poker is gambling no matter how good you are and how many fish are at the table. Gambling is the act of risking anything of value. The risk level doesn’t matter. You could be 99.9% assured of winning and you’d still be gambling. A better statement would be that playing Poker is much less of a gamble than playing the Lotto or Keno. Remember, you can train as much as you like and you can be the best Poker player in the world, but you’re always putting your chips out there with some degree of risk. So, educate yourself in the art of Poker and train like there’s no tomorrow. Just don’t forget that your money always has a measure of risk attached to it. Copyright © 2019 Online Poker Advice. All Rights Reserved.